Perfect performance-- the standard A15 shape daylight white 5000k bulb giving off a clear and natural illumination, which can give your home a brightness feeling. 450lm 5 watt 240 beam angle can provide suitable lighting for you when you're writing, reading or have a nap. Widely application--the bulb available for all kind of scenes lamps, ceiling fan light bulbs, refrigerator bulb, freezer bulb, bathroom fan light bulb, incandescent ceiling light for the bedroom, kids room, living room, dining room, kitchen. Energy saving--providing more longer lifespan 30000 hours when compared to less-efficient incandescent, 5W equal to 40W can cut down 85% electricity bill for you. Easy to install--the designed to have the same shape and size as incandescent bulbs with standard E26 socket, so you can replace your traditional bulbs easily. 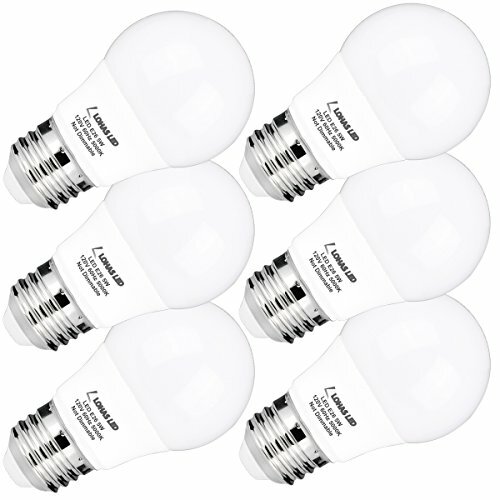 Quality warranty&safe--the bulbs are mercury-free, so it will not contribute to harmful hazardous waste, which can protect your family health and allow you take a big step toward a greener future at the same time.